<<When the Mars 2020 rover lands, we may finally hear the first audio recordings from the Martian surface. The Planetary Society has been working for decades to land a Mars Microphone, something that would add a second human sense to the amazing imagery we currently get, and would be very engaging and exciting for not only scientists, but also for the general public. Unfortunately, the only two such instruments to have launched suffered sad fates. The first Planetary Society Mars Microphone crashed with Mars Polar Lander. The second microphone to fly to Mars, on Phoenix, was never turned on because of the potential for an electronic problem. The payload of the ExoMars 2018 rover may include infrasound and pressure sensors that could produce sound-like recordings. 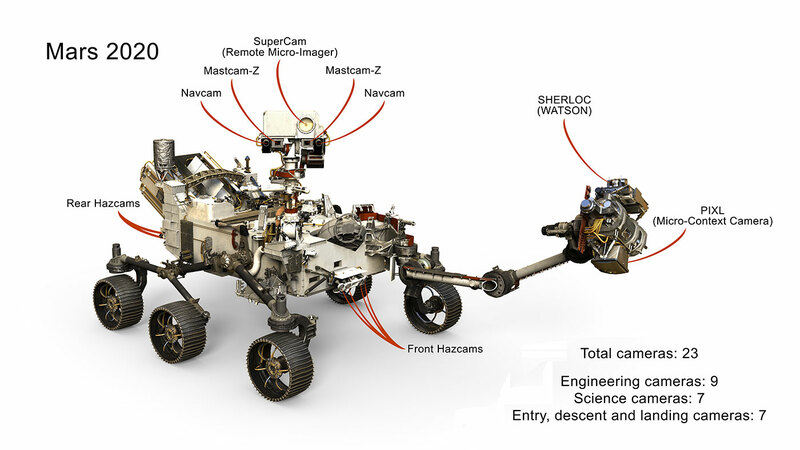 In an abstract submitted to the 2016 Lunar and Planetary Science Conference (PDF), members of the Mars 2020 SuperCam team explain how including a microphone on their instrument could support their science -- and record sounds on Mars. Can they also add the ability for it to "bark" ? Then it would be the first one worthy of the name "Rover". MarkBour wrote: Can they also add the ability for it to "bark" ? Not such a silly thought .. sound can often be more important than sight .. in attracting the curiosity of life forms one example. A drill will capture rock cores, while a caching system with a miniature robotic arm will seal up these samples. Then, they'll be deposited on the Martian surface for possible pickup by a future mission. 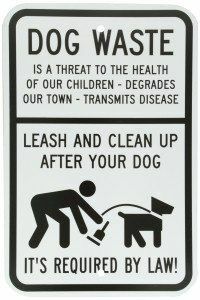 And that will be the Mars Rover Pooper-Scooper Mission? 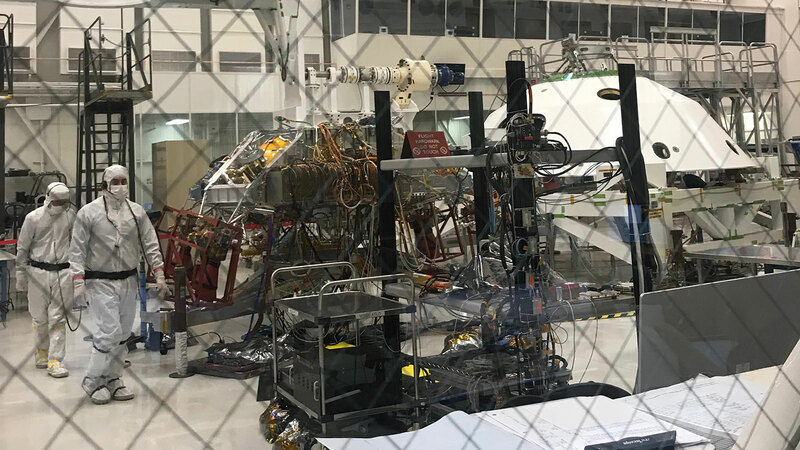 A piece of a meteorite called Sayh al Uhaymir 008 (SaU008) will be carried on board NASA’s Mars 2020 rover mission, now being built at the agency’s Jet Propulsion Laboratory in Pasadena, California. This chunk will serve as target practice for a high-precision laser on the rover’s arm. Mars 2020’s goal is ambitious: collect samples from the Red Planet’s surface that a future mission could potentially return to Earth. 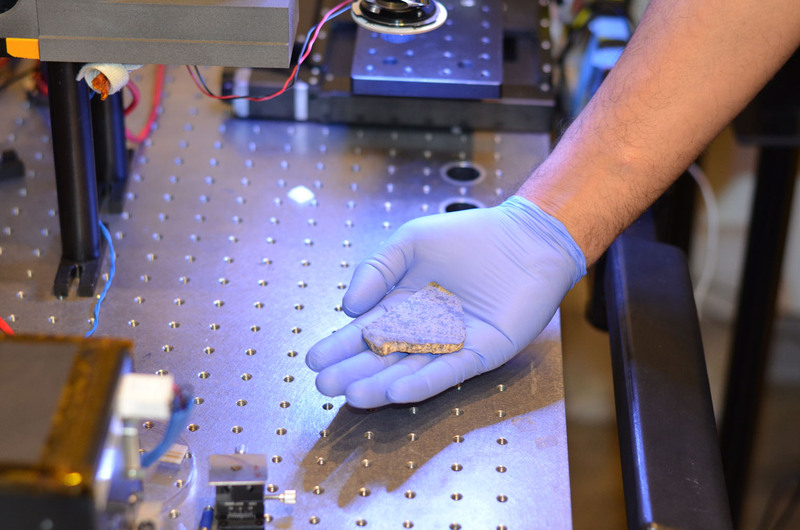 One of the rover’s many tools will be a laser designed to illuminate rock features as fine as a human hair. That level of precision requires a calibration target to help tweak the laser’s settings. Previous NASA rovers have included calibration targets as well. Depending on the instrument, the target material can include things like rock, metal or glass, and can often look like a painter’s palette. 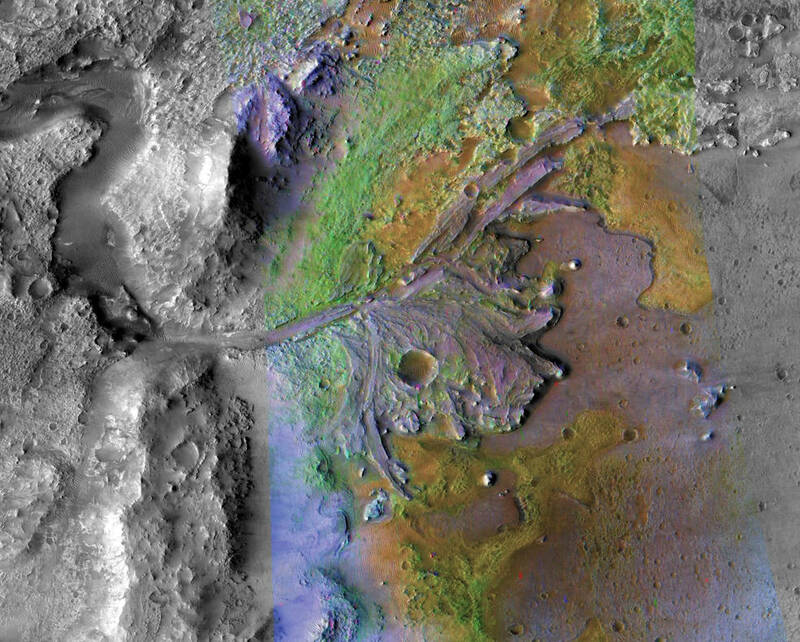 NASA has chosen Jezero Crater as the landing site for its upcoming Mars 2020 rover mission after a five year search. Mission scientists believe the 28-mile-wide (45-kilometer) crater, once home to an ancient river delta, could have collected and preserved ancient organic molecules and other potential signs of microbial life from the water and sediments that flowed into the crater billions of years ago. A flight around the crater that will host the Mars 2020 mission based on data from Mars Reconnaissance Orbiter. The image and topography are from the Context Camera. The color is from the much wider-angle MARCI camera. 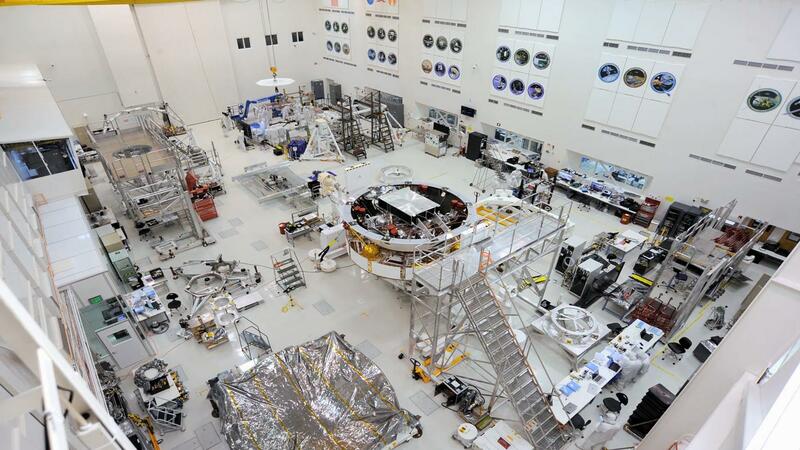 For the past few months, the clean room floor in High Bay 1 at NASA's Jet Propulsion Laboratory in Pasadena, California, has been covered in parts, components and test equipment for the Mars 2020 spacecraft, scheduled for launch toward the Red Planet in July of 2020. But over the past few weeks, some of these components - the spacecraft-rocket-laden landing system and even the stand-in for the rover (christened "surrogate-rover") - have seemingly disappeared.